When the day is long and the work hard, preparing the comforts of home are best left simple. 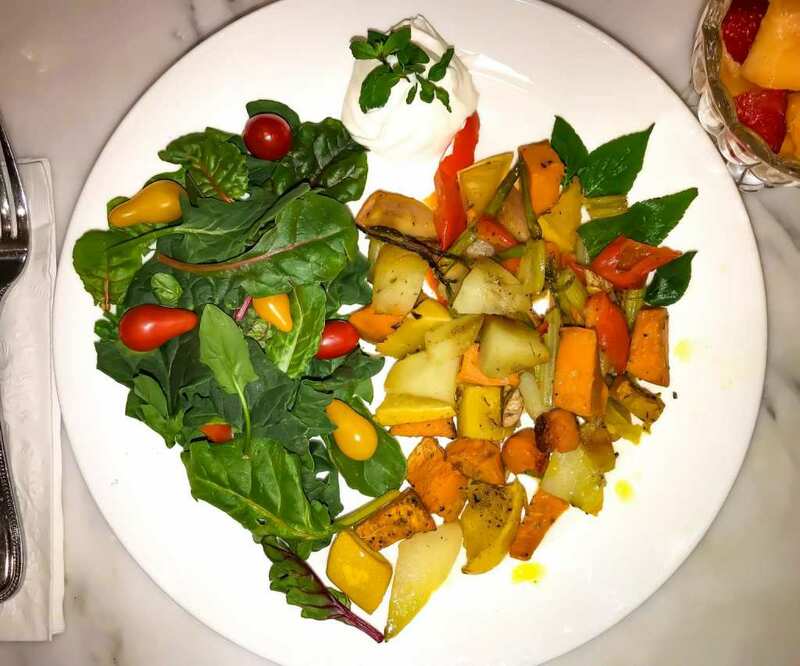 This heart healthy recipe calls for seasonally available farm fresh organic produce and requires not much more than this. 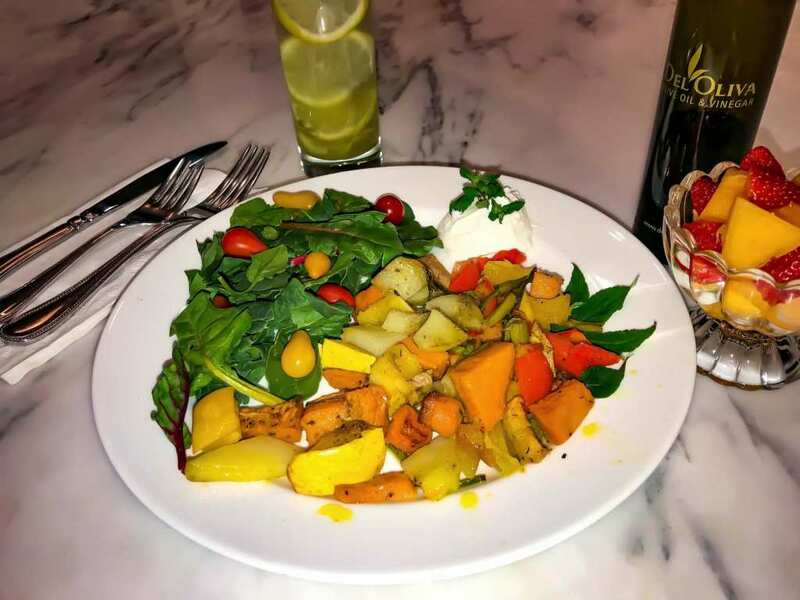 Ingredients include butternut squash, onions, sweet potatoes, potatoes, tomatoes, apples, fresh herbs and mixed greens. All courtesy of what was seasonally available in my Sage Mountain Farm Community Supported Agriculture (CSA) farm share box, available for purchase at the Sage Mountain Farm stand in Anza or at one of our local Farmers Market locations. Begin by rinsing and chopping your veggies, fruit and herbs. Lay flat on a rimmed baking sheet and drizzle with oil. I like to alternate between Extra Virgin Olive oil and Refined Cold-Pressed Coconut oil (for a texture and taste similar to butter). Mix and top with a turn of freshly ground Himalayan salt and black pepper. Bake at 350 for twenty minutes or until soft enough to sink your teeth into. Plate with a bed of mixed greens, a colorful variety of cherry tomatoes, and dress it up with a dollop of Aris plain sheep’s milk yogurt and fresh organic mint. 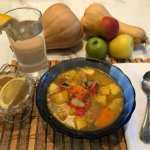 Accompany with a bowl of organic strawberries & cantaloupe, a refreshing glass of lemon water and this meal will not only satisfy, it will assure the energy, health and vitality you need to do it all again tomorrow! Cardiovascular diseases make up the single greatest cause of death on the planet. Between heart disease, strokes, and hypertension-related deaths, more than 17 million people die each year due to cardiovascular issues. For that reason, protecting their heart is one of the most important and imperative things that everyone needs to do, even at a young age. Preventing situations like unbalanced cholesterol levels, high blood pressure, plaque build-up in your arteries, and unnecessary strain on your cardiovascular system is of the utmost importance. Love your food, love your body – Love your family, love your farmer. 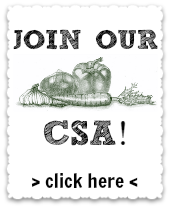 Join a Community Supported Agriculture (CSA) program today and live for a healthier you! We are here to provide you with the highest quality produce we can, through our CSA program and through any of our many Farmer’s Market locations throughout Riverside, San Bernardino and San Diego Counties. We hope that you explore our webpage and become as excited and passionate about local, organic food, as we are. It is our mission to promote a healthier community through our CSA program. If you have any questions, please don’t hesitate to contact us anytime by email, phone, or through the comments section of this website. Thank you for visiting and your continued support! This farm is a labor of love and we couldn’t do it without our community and wonderful customers! Please tell your friends about us. Referrals are the greatest compliments and we appreciate them more than we could ever convey! Let’s make small farms in our region stronger and profitable! for more information about our farm.